Photo: Steve Wells explains about soils development on the flanks of basaltic cinder cones. Eastern Mojave Vegetation Steve Wells explains about soils development on the flanks of basaltic cinder cones. Protographed April 1990, scanned from a print 6 February 2018. 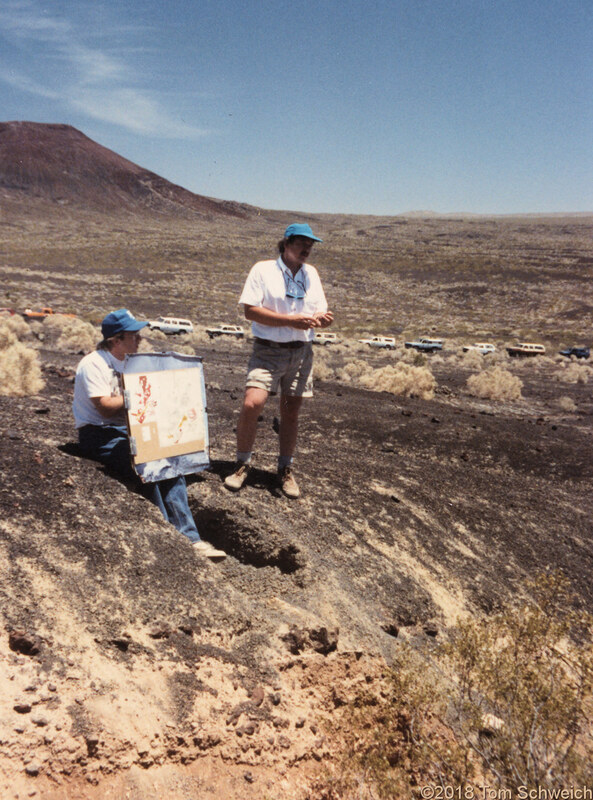 This would be a field trip stop in the 1990 Mojave Desert Quaternary Research Symposium. Aiken Mine Road, San Bernardino County, California: at cinder cone. Other photos about Geography - Eastern Mojave or Cima Volcanic Field.